The Philippines has been offered the hosting rights to the 2019 Miss World pageant, Miss World Philippines national director Arnold Vegafria revealed. 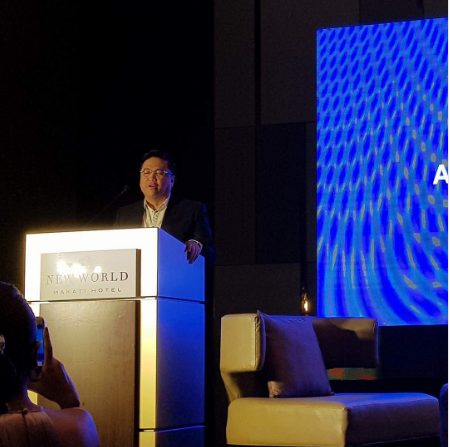 Miss World Philippines national director Arnold Vegafria told the media at a press conference for Miss World Philippines on Friday, July 7 that the Philippines may host the Miss World 2019 pageant. "We will showcase the country to 146 countries – the beauty of the people, the beauty of our tourism, and of course, the hospitality of the Filipino people." In 2014, First Pinay Miss World Megan Young accompanied by former Miss World Philippines national director Cory Quirino met with former Philippine Vice President Jejomar Binay and the DOT for their proposal to host the Miss World 2014 pageant in the Philippines. But the Philippine government did not pursue it. While the Philippines has hosted Miss Universe pageant thrice, the country has yet to stage the Miss World pageant.